Richard Branson says history will treat President Trump "incredibly unkindly" for pulling out of the Paris climate agreement. "It just makes so many of us literally want to cry when for some bizarre reason the president of America decides to make such a catastrophic decision," the billionaire founder of Virgin told CNN's Poppy Harlow and John Berman on Friday. He also challenged Trump's claim that rejecting the deal could save 2.7 million jobs in the United States. "Hundreds of thousands of jobs could have been created in the clean energy sector if he had given it his support," Branson said. He joins dozens of CEOs voicing their displeasure with Trump's decision, including the chief executives of Apple (AAPL), Goldman Sachs (GS) and General Electric (GE). The CEOs of Disney (DIS) and Tesla (TSLA) stepped down from presidential advisory councils. Trump styles himself as a savior of coal industry jobs. But Branson said, "The industries he's trying to protect, coal, they're dying industries." 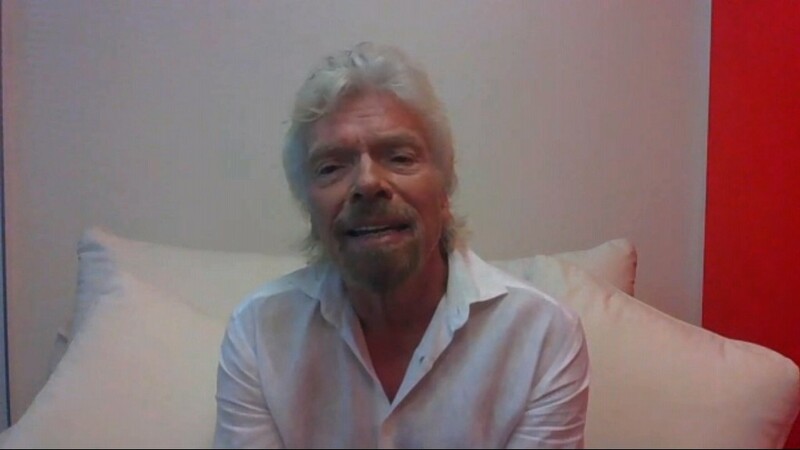 Branson called it a "dreadful, dreadful day." "It's a horrible loss what happened yesterday," he said, "and I think history will treat Trump incredibly unkindly for the message that he sent to the world yesterday."